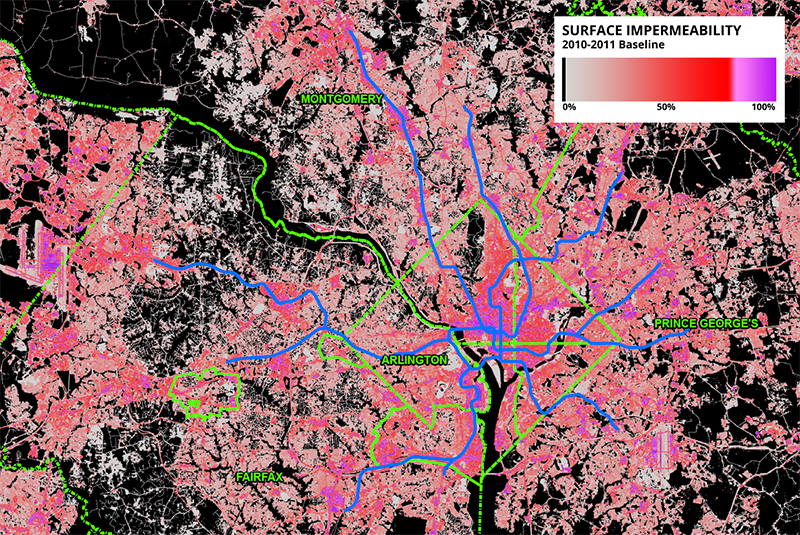 Better urban planning can help save our rivers and the Chesapeake Bay—by reducing this region’s future impervious surfaces by 20%. Here’s why. As many Washingtonians know, the Chesapeake Bay needs help. Dead zones and algae blooms appear every summer which destroy aquatic life in the Bay and threaten fishing, swimming, and economic health. A major contributor to this problem is rainwater runoff from paved roads, parking lots, and roofs. These are called “impermeable surfaces”. In contrast, permeable (or pervious) surface is one through which liquids are able to pass. Grassy fields, woodlands and farmlands are excellent examples of this: rainwater or snowmelt soaks into the ground, pollutants in the water are filtered naturally, and excess water travels underground to streams and eventually (in the Washington region) the Chesapeake Bay.Rainfall that falls on impervious surfaces like paved roads, parking lots and roofs “runs off” unfiltered making its way to the Chesapeake Bay—along with nitrogen and sulfur oxides from vehicle emissions, motor oil, and road salt residue. Figure 1 – Map of impermeability throughout the region with overlaid jurisdictional boundaries and Metrorail system for reference. 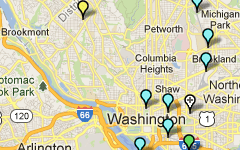 Note the concentrations of highly-impermeable surfaces in central D.C., and at other activity centers like Dulles. 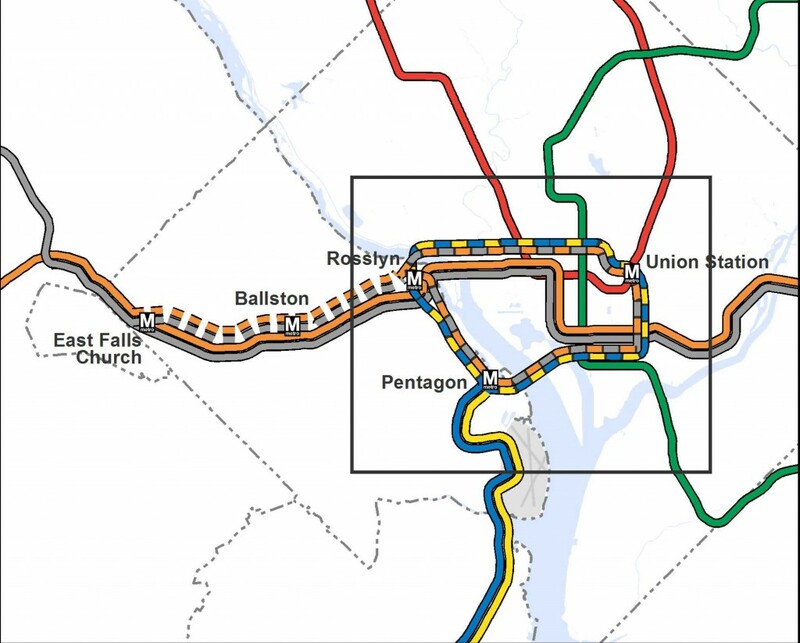 Step right up and check out the proposed 2040 core Metrorail configuration with new Blue and Yellow Lines and a third line in Virginia! What does this network do? 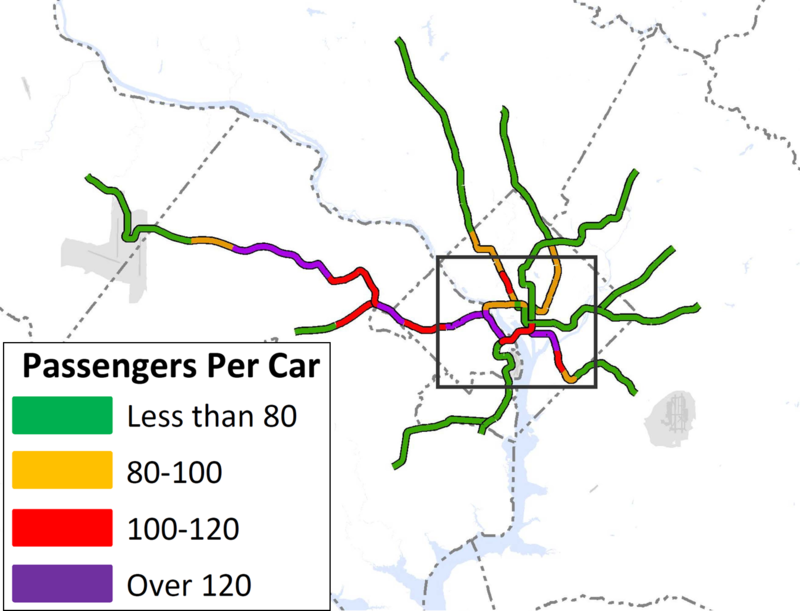 The proposed rail network shown above is expected to reduce future crowding on Metrorail, provide enough capacity for future development, and expand the reach of transit in the region, especially to regional activity centers. Why are we proposing it? 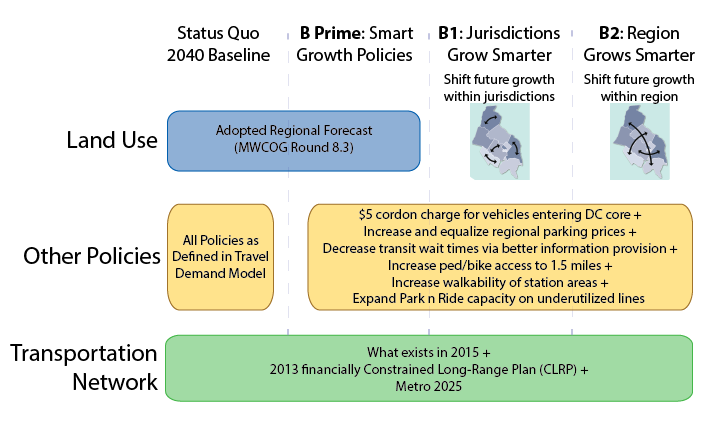 This rail network is part of the 2040 Regional Transit System Plan (RTSP). 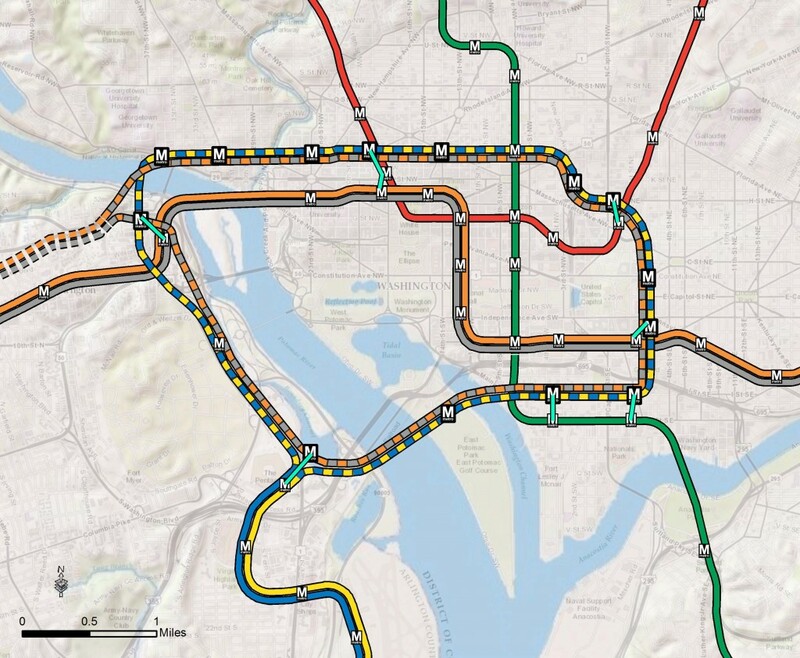 Its purpose is to develop the rail and surface transit network for 2040 that meets the needs of the growing Washington DC region. What else have we considered? About a month ago, we posted about some of the possible long-range changes to the Metrorail core that we are considering as part of the RTSP. We analyzed four different core configurations, gathered your comments, and the final configuration for the core is shown above. As many of you commented, it is a combination of two of the scenarios (Scenarios B and C). Next Steps: The next and final step for the RTSP is to use this configuration, along with the high capacity surface corridors, to conduct a final round of analysis. The output will provide us with information on ridership, mode share, levels of crowding, transfers, etc. and ultimately a final network for 2040. 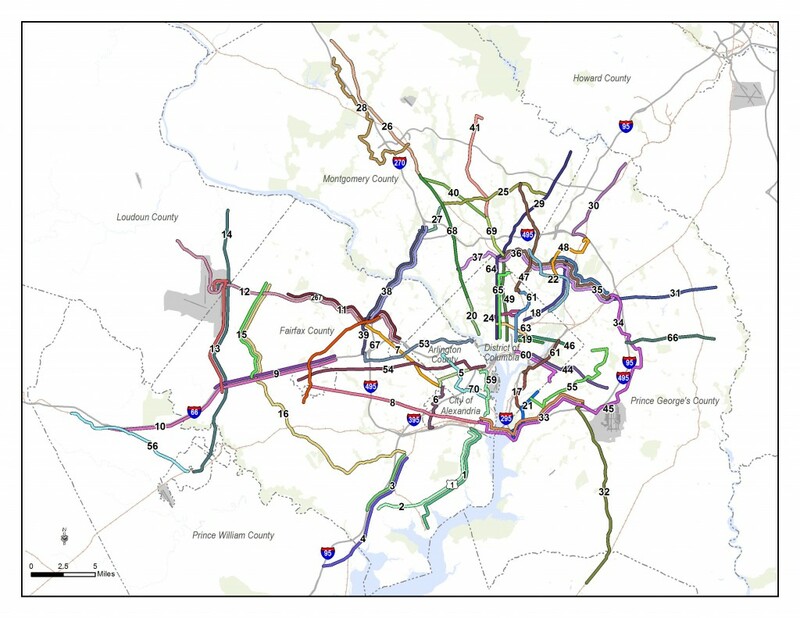 (1) The Metrorail network shown in this post will be layered with an extensive high capacity surface transit network to expand transit and meet the needs of employment and population growth in the region. (2) For the plan to have validity and acceptability across the region and within the federal planning process, it is based on the region’s adopted cooperative land use forecast for 2040. We used the Aspirations Land Use scenario to stress test the core of the system, but ultimately the plan needs to start with the region’s adopted land use. As follow on work to this plan, we will be testing different land uses to see what else we can learn to improve long-range plans. (3) All of the lines shown, as well as all of the high capacity surface transit corridors, will need corridor studies, alternatives analyses, and full engineering studies. This cannot be done at a regional level, but would need to happen on a project by project, line by line level. So, while we are showing a new Blue Line on M Street, it very well could be on N or P Streets. Congestion at peak times would increase 25 percent, costing over $1.0 billion annually in wasted time. Households would spend an additional $500 million/year in auto expenditures, including an additional 41 million gallons of fuel annually. Air quality would worsen because of an additional 260 tons of volatile organic compounds, 22 tons of particulate matter and 500,000 tons of CO2 equivalent in the air, the equivalent of 9 billion party balloons. Metro is critical to the prosperity of the region and has a positive effect on business activity. Within one half-mile of rail stations and bus stops there are two million jobs, which account for 54 percent of all jobs in the region. 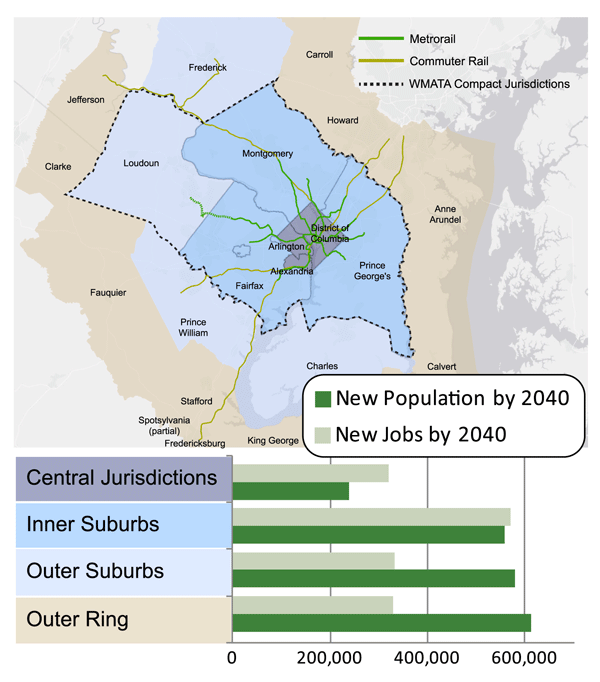 The figure to the right shows how future employment will be focused in the Metrorail service areas of the central jurisdictions and the inner suburbs. The Washington, D.C. Metropolitan Statistical Area (MSA) added 275,000 households and 295,000 jobs between 2004 and 2010. Of that growth, 6.4 percent of new households and 13.8 percent of new jobs located within one-quarter mile of urban Metro stations and one-half mile of suburban ones. The land area around these Metro stations comprises only 1.2 percent of the MSA land area, so Metro-adjacent locations are capturing far more than an average share of growth. 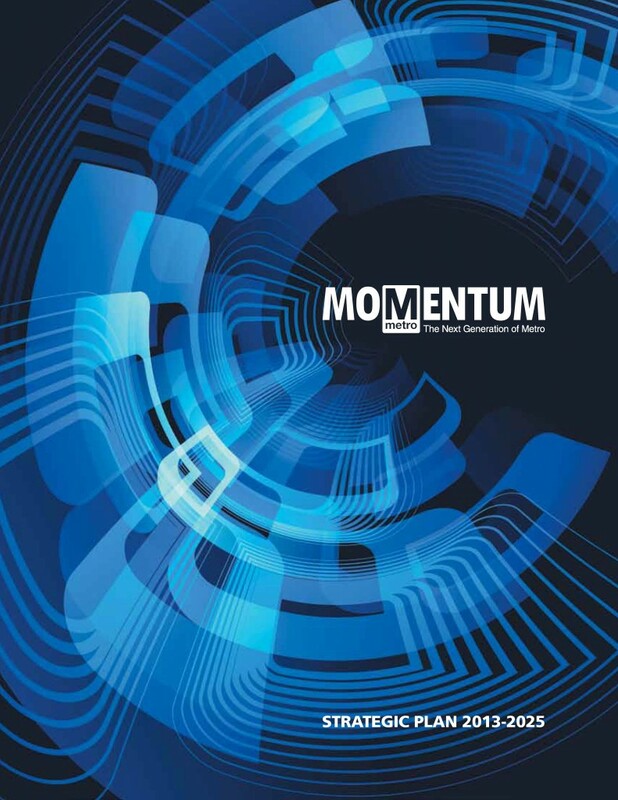 When asked, 83 percent of business leaders surveyed by Metro in March, 2013 noted the importance of Metro to their future success. Employers have chosen Metro station areas as highly desirable places to locate jobs and attract employees. Seventy-seven percent of them said the proximity of a Metrorail station was important to where they decided to locate their businesses.